Rush hour on Weesperzijde, one of the busiest streets in Amsterdam. 'You have to go out of the fish bowl to understand a fish bowl', says Marco te Brömmelstroet in the introductory session of the programme, Planning the Cycling City. This metaphor, to which the professor in urban policy at University of Amsterdam and one of the organisers of the summer school would make reference again and again during the three weeks, does a good job to describe why the time was right for this idea to come to life. 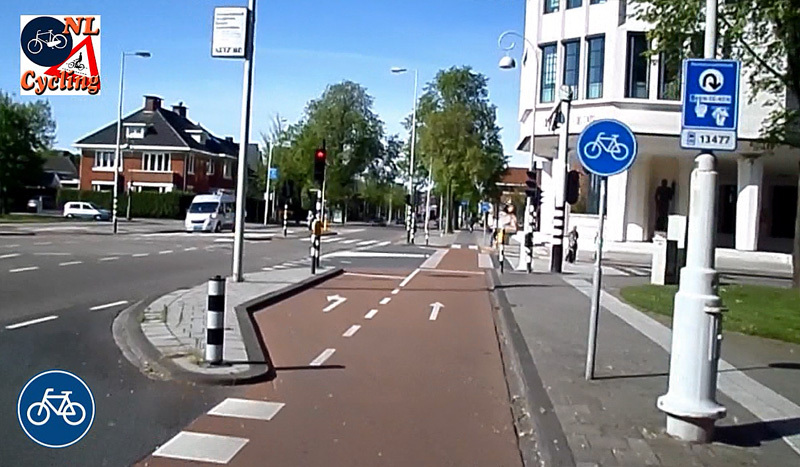 Amsterdam and Netherlands are said to represent state-of-the-art examples for aspiring cycling cities and nations, yet most Dutch fail to realise just how essential it is that they start sharing their precious know-how across the borders. Pushed to think outside this ‘fish bowl’ by Meredith Glaser, an American who is the Amsterdam-based officer for Denmark’s Copenhagenize cycle-infrastructure consultancy, Marco came to realise just how big 'the moral obligation' for the Netherlands to share their cycling expertise with the rest of the world is. 'When Meredith approached me I thought it's a good way to fill in the first steps of putting cycling in the academic agenda and teaching', tells Marco. As soon as they worked out the practicalities of setting up the Cycling Summer, the next challenge was not only to select 30 students amongst the 45 candidates, but also, as Meredith admits, to choose the topics of discussion for each of the 13 lectures: 'Each of these could be a three weeks summer session in itself! Just that makes it difficult to squeeze in two lectures and discussion into a two and a half hour time frame. It's really tough'. The domains ranged from historical, social and political context, to land use, crossings and public space, data and visualization, wayfinding, multimodality, marketing and bikenomics. These keynotes were punctuated with field trips to various sites in Amsterdam and other cities in Netherlands and abroad, as students were assigned to build up not only some practical skills, but also to develop their own critique of the shortcomings they come across in the 'Cycling Paradise'. 53% of children in the first year of secondary education cycle to school every day in Amsterdam. Photo: Lisa Ratner. The general impression is that cycling levels have always been high, if not constantly booming, in the Netherlands and that this is due merely to the flatness of the country. Contrary to these lazy explanations, the historian Ruth Oldenziel says that there are multiple reasons for the current levels of cycling: 'The role of the market and civil society as well as their tight connection is under estimated. The local cycling union in the Netherlands, for example, moved towards the car when this technology became mainstream, but it also incorporated cycling and financed separate bicycle paths. This didn't happen in other countries. Equally important was the role of class. Whereas cycling was regarded as a lower class thing in most countries starting in the 1920s and 1930s, it was seen as class neutral in Netherlands'. Amsterdam's cycling is seen by Oldenziel as 'an accident of history, not the work of policy makers, but rather the result of activism and late automobility'. Watch a documentary about the protests in Nieuwmarkt, Amsterdam, in the spring of 1975. They are considered a turning point for Dutch cycling. A similar take is shared by the sociologist Giselinde Kuipers, who shows that physical infrastructure alone can't be held responsible for the high levels of cycling in the Netherlands. She makes the case for the bicycle as a national symbol and pride for the Dutch: 'Throughout the history there has been little distance between classes and social status groups here. Also, the Calvinism reinforced a rather egalitarian society, with little ostentatious demonstration of power as well as sober “bourgeois” lifestyle promoted top-down. All these contribute to the high levels of cycling we have today'. These less visible infrastructures seem to have had a higher impact than often acknowledged on the current state of cycling which, surprisingly for many, hasn't increased from 25% modal share nationwide in the last four decades. What we experience today is more of a self-sustained yet fragile cycling bonanza hardly encouraged through a dedicated national plan for this mode of transportation. 'Cycling is self-organising, informal, a social activity and a bit anarchistic', admits the architect Stefan Bendiks, who observes that a car minded thinking is still prevalent when designing for cyclists in the Netherlands. He's amongst the few practitioners advocating for Amsterdam to be more of a 'living lab' for cycling that doesn't work with common standards, as he dismisses current pragmatic solutions such as left turn lanes at intersections, push-button bicycle stoplights or greenwaves. 'The more and more complex and technical solutions for cycling aren't very smart', contends Bendiks. Watch this this rap video promoting cycling in Amsterdam. This deeper understanding of cycling complexities will be taken away, not only by the 30 foreign students who came to Amsterdam this summer, but they will also help Marco and Meredith think how to take their vision to the next level. Marco te Brömmelstroet has unveiled his future aspirations: 'All this academic knowledge deserves a master programme of two years itself. You come to the University of Amsterdam and you learn research skills and you get a multi-disciplinary Master where you learn to do sociology studies, engineering studies in Delft, historical analysis, transition studies, maybe cost-benefit analysis. So we all have our strengths'. The students who attended the summer school Planning the Cycling City. Photo: Meredith Glaser.